A frame signs sandwich board signs to wear can be displayed on the front and back of people walking around the streets for marketing purposes. Alternatively, they can be propped on the sidewalk, making an A-shape for passers-by to read and take notice. When not wearable, convenient, portable and self-standing, A frame sandwich boards of any size can be placed on any flat surface, to draw attention to anything. Sandwich board signs fold flat for transportation and storage and larger models may have wheels attached for ease of movement. 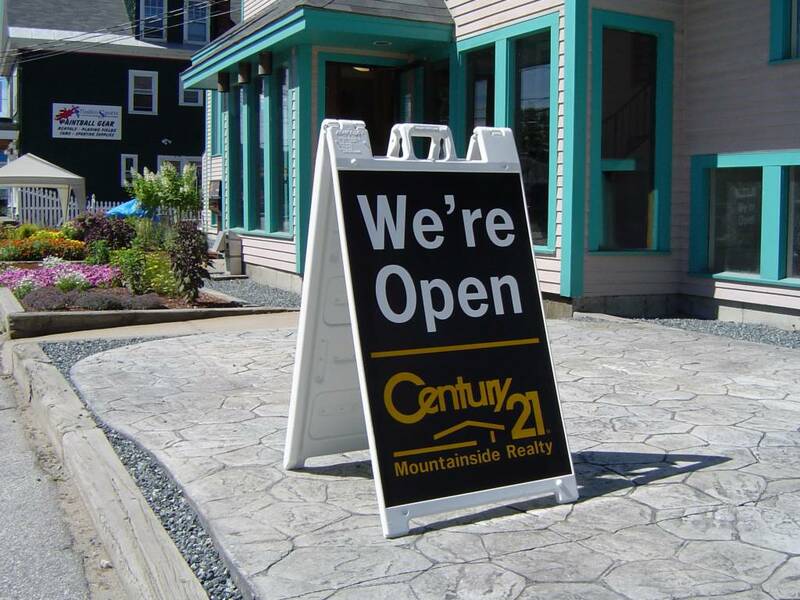 Great value for money, the best sandwich boards signs can be viewed from any approach, since printing of the message is on both sides of the sign. This makes them great display signs and ideal for retail situations, to advertise daily menus or specials, reduced prices or special offers. Used anywhere at a point of sale or to take advantage of foot traffic and passing crowds, they can easily be repositioned at any time or taken inside at the end of trading. Made of corrugated plastic, the printed sandwich boards signs can be fixed permanently onto the frame or can be easily detachable for frequent changing and updates. Use tape or Velcro for fastening purposes. Large sandwich boards signs are also popular to promote businesses, special events, and for elections or political purposes. They can also be used as sturdy, self-standing yard signs or as real estate sandwich board signs, where they can easily be temporarily posted outside a specific property. Our huge collection of design templates in our easy-to-use online designer tool helps you make exactly the sandwich board sign you need for the job. If you want extra help, or just a professional touch, our experienced graphic designers are happy to assist you to design and make a great sandwich board sign, free of charge.